We are affianced in dealing with a wide range of Staninless Steel Clamps, which are manufactured using premium quality metals. As our Stainless Steel Clamps are manufactured following international industry standards these guarantees high functionality and long service life. 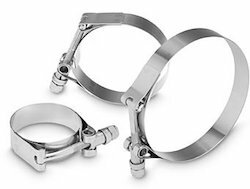 To meet with the ever changing demands of our clients we offer these Stainless Steel Clamps in various specifications as per the choices of our clients. 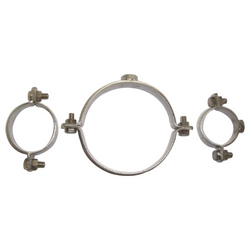 Product under this category includes, Stainless Steel Pipe Support Clamp, Stainless Steel Pipe Clamp with Welded Nut, Stainless Steel Pipe Clamp and C Clamp. We are involved in manufacturing and supplying a wide range of SS Pipe Support Clamps. Fabricated from premium quality of materials these SS Pipe Support Clamps are highly durable and reliable. Our SS Pipe Support Clamps are very sturdy in construction and are manufactured following international industry standards. These SS Pipe Support Clamps are very easy to use and maintain. 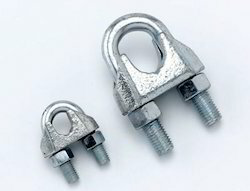 We offer our clients a wide range of C Clamps which are available in market in various sizes, dimensions and finishes. We use latest technologies to manufacture these C Clamps and assure our clients for the easy use and easy maintenance of our C Clamps. These find their wide application in holding device, Pipe Fitting, extensive lifting operations and various other operations. We are affianced in dealing with a wide range of Staninless Steel Clamps, which are manufactured using premium quality metals. As our Stainless Steel Clamps are manufactured following international industry standards these guarantees high functionality and long service life. To meet with the ever changing demands of our clients we offer these Stainless Steel Clamps in various specifications as per the choices of our clients. 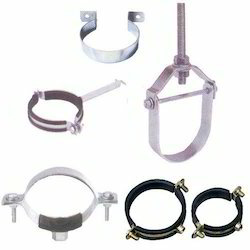 Product under this category includes, Stainless Steel Pipe Support Clamp, Stainless Steel Pipe Clamp with Welded Nut, Stainless Steel Pipe Clampand C Clamp. Our organization is involved in manufacturing and exporting Pipe Clamps. 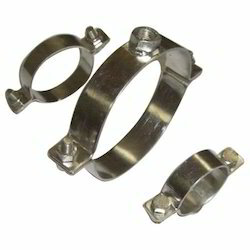 We manufacture these Pipe clamps using high grade raw materials. The accurate hole in the pipe clamps, absolute model and its sturdiness are prominent feature of this pipe clamps. 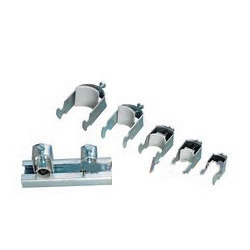 Pipe Clamps are available in different ranges according to the client’s request. 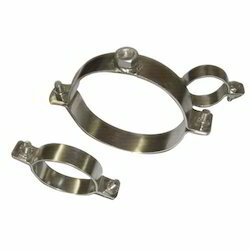 These pipe clamps are widely used in building constructions for fitting purpose etc. We are involved in manufacturing and supplying a durable range of SS Pipe Clamp with Welded Nuts. These products find their wide application in various industry uses. We implement latest technologies to manufacture this SS Pipe Clamp with Welded Nuts and assure our clients for the dimensional accuracy, high durability, reliability and consistency of our products. 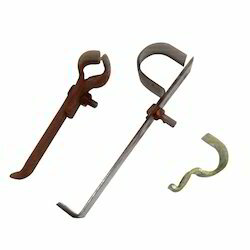 Our company offers a wide range of Wire Clamps. These Wire Clamps in various sizes dimensions and specifications according to our clients. Our Wire Clamps ensures durability and high service nature as they are made out of high quality of material. We offer various tube clamps which are highly tensile and durable. Tube clamps made from superior quality raw materials, our range of plates are known for high-strength, less maintenance, excellent finish and longer life. We also offer customized tube plates in customized forms. Being one of the master manufacturers and suppliers we are able to manufacture a diversified range of SS Pipe Clamps. These have high tensile strength, durability, reliability and dimensional accuracy which make these first choices of our clients. Manufactured in accordance to international standards these SS Pipe Clamps are very easy to operate and needs very les maintenance. Moreover, we also offer customized solution as per the choices of our clients.